At the annual field day, HJA Day, attendees go into the forest to learn from researchers, managers, and artists. Photo by Lina DiGregorio. Monthly meetings are used to share science, news, and opportunities related to the HJ Andrews Experimental Forest and Long-Term Ecological Research program. We start with a science hour and then move into program news and announcements. Anyone is welcome to attend. Monthly meetings are on the first Friday of the month during the academic year. Check our News and Events listings for details and notifications of upcoming meetings and science hour topics. HJA Day is an annual field gathering at the HJ Andrews Experimental Forest. Activities include field trips to sites in the Andrews Forest and presentations from researchers and managers. Everyone is welcome to attend - from OSU, the Forest Service, other institutions and organizations, and the local community. HJA Day is hosted by the Andrews Forest LTER Program. Sign up for the next event on our HJA Day page. 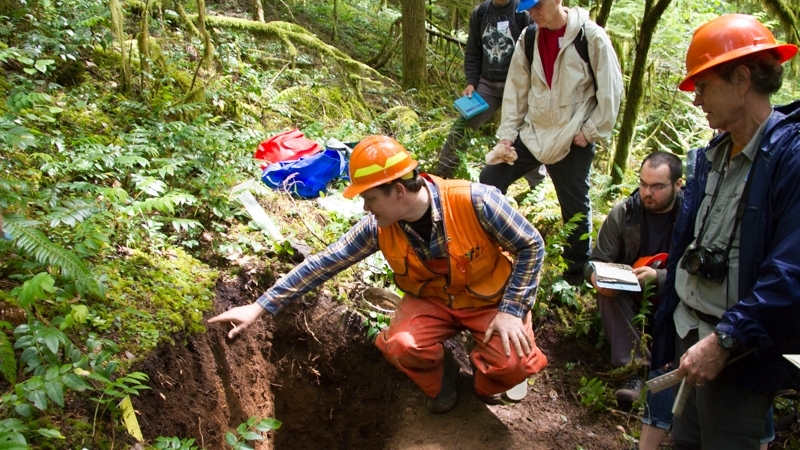 The Andrews Forest Long-Term Ecological Research (LTER) Symposium fosters communication about Andrews Forest research. The symposium is an opportunity for the broader OSU and research community to learn more about current Andrews Forest research, recent findings, and new directions. The event includes presentations and a poster session. The poster session features posters from all researchers; graduate students are especially encouraged to share their ideas and results. Talks from previous symposia are posted on the Andrews Forest YouTube channel. The Long-Term Ecological Research (LTER) All Scientists Meeting is held every three years and brings together scientist, students and other guests interested in long-term ecological research and the LTER program. The All Scientists Meeting is organized by the LTER Network Communications Office. The next All Scientists Meeting will be September 30-October 4, 2018. See https://lternet.edu/event/lter-asm-meeting/ for more information.